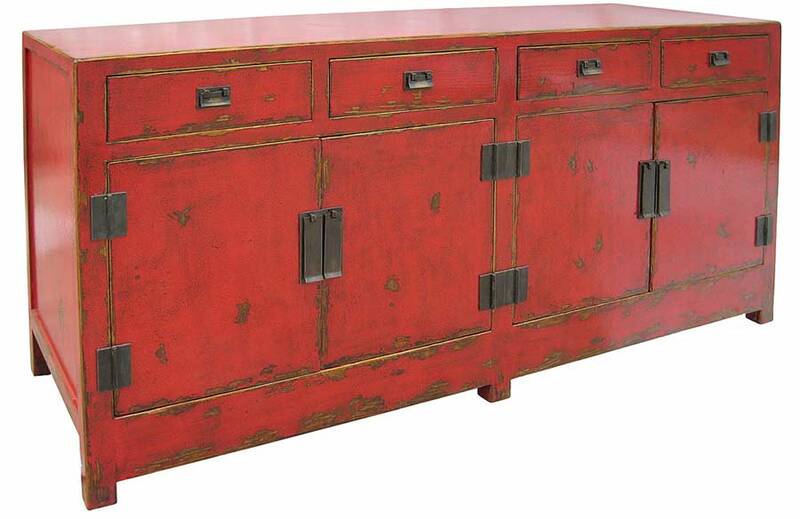 The Genghis Sideboard features a distressed red finish and aged brass hardware. 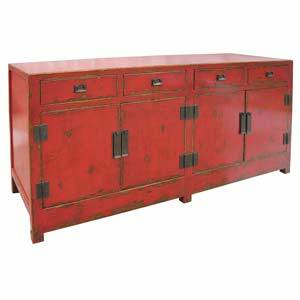 4 drawers and 2 cabinets offer plenty of room for storing all of your silver and dishware. Made from solid elm. 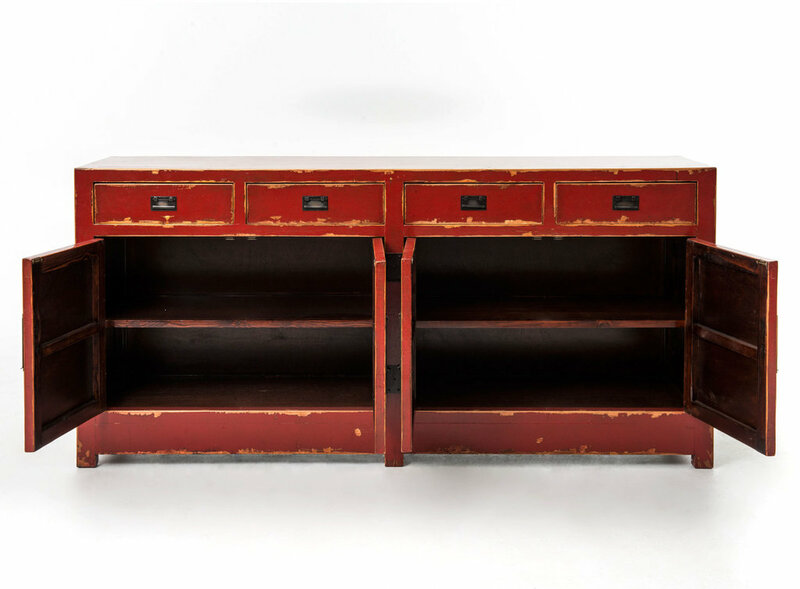 This item ships FREE with our Luxury in Home Delivery Service! 1 year warranty against defects.